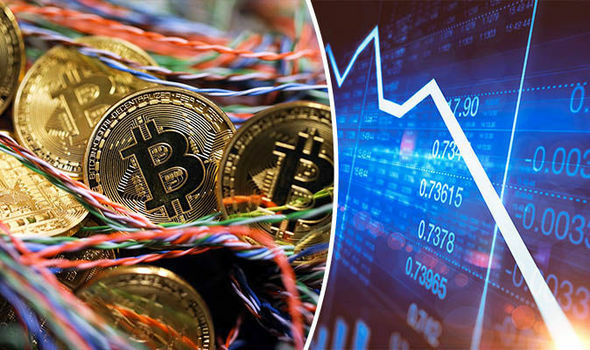 BITCOIN will collapse next year after Russia and China work together to “engineer a crash”, a major investment bank has predicted. The cryptocurrency will continue to rise “during most of 2018” peaking at an eye-watering £45,000 ($60,000) until Moscow and Beijing begin a crackdown on digital currencies, according to Saxo Bank. Cryptocurrency experts made the forecast as part of the company’s “outrageous predictions” for 2018, events the Danish bank says are “highly unlikely” but “with under-appreciated potential” to send shockwaves through financial markets. As of 3pm GMT on Saturday, December 16, bitcoin is valued at $18,504 according to CoinDesk. Saxo Bank predicts it will soar to its peak as investors become more comfortable tying up their money in digital currencies until more than £750billion ($1trillion) is invested worldwide. But forecast then turns grim as the “phenomenon finds the rug torn out from under it” following a predicted intervention by Russia and China. The forecast assumes a Russian crackdown taking the form of the Kremlin mining the cryptocurrency itself and “shifting the focus away from Bitcoin in an effort to keep more Russian capital onshore”. Meanwhile in China, Saxo Bank predicts a state-sanctioned virtual currency will be launched which requires less computing power – and less power – to mine. Eventually, due to the “heavy hand of state intervention”, interest in cryptocurrencies decreases and “completely sidelines the Bitcoin and crypto phenomenon from a price speculation angle”. The bank predicts the crash will eventually leave a bitcoin worth just $1,000. Financial experts are split over the ultimate fate of bitcoin and other cryptocurrencies, with some issuing grave warnings against investing while others highlight its potential. Veteran investor Eric Schiffer has warned bitcoin could become the biggest financial danger of the 21st century, branding it a “financial bubble bigger than the tulip craze”. However Jordan Hiscott, chief trader at Ayondo Markets, said he does not see a crash on he horizon. He predicted bitcoin would be worth £15,000 ($20,000) “by the end of the year” and could rise higher if it breaks into the mainstream of finances. But he also but warned people to think twice before investing their hard-earned cash.